Muscat: The Sana’a residence of the Omani ambassador in Yemen was hit by three missiles on Friday, a top Omani diplomat told Gulf News. No causalities were reported as no one was in the house when it was struck, said the official on condition of anonymity. 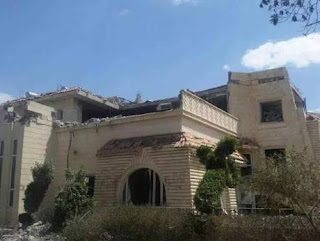 The ambassador, Bader Al Manthari, confirmed the reports to Oman’s Al Balad news site, saying that he was not in the country at the time of the shelling and that the house was empty. It is unknown who fired the missiles. “There are consultations to determine the source of the missiles,” he added, without saying who the consultations were with. The Yemeni capital is currently under the control of the Al Houthi militia, which the Saudi-backed Arab coalition is trying to expel. The embassy has been closed since Al Houthis occupied Sana’a last September, but the sultanate had not announced that publicly, reported Al Balad. Unlike other GCC states, Oman did not move its embassy to Aden after exiled leader Abd Rabbo Mansour Hadi took residence there following the Al Houthi occupation of Sana’a. Oman is the only member of the Gulf Cooperation Council that has not participated in the coalition strikes against Al Houthis, choosing to remain neutral in the war. It has also hosted peace talks between warring parties. Makkah: Saudi Arabia has warned Muslim pilgrims attending next week’s Haj in Makkah to avoid exploiting Islam’s annual gathering for political reasons, reflecting its worry that turmoil in the region may prompt attacks or damaging displays of discord. Wearing the clothes and speaking the languages of dozens of nations, hundreds of thousands of pilgrims flocked to Makkah’s Grand Mosque for Friday prayers in a show of religious harmony in a year when the region’s Muslim states are riven by conflict. “The security forces are ready to confront any irresponsible behaviour that might pollute the purity of Haj or endanger the lives of the guests of Allah,” Interior Minister Crown Prince Mohammad Bin Nayef was quoted as saying by state media. 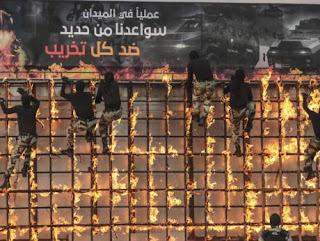 The turbulence and sectarian infighting that has plagued Arab countries since the 2011 uprisings has grown even more acute this year, as Yemen and Libya joined Syria and Iraq in plunging into civil war. In Saudi Arabia, three suicide bombings of mosques by sympathisers of Daesh (the self-proclaimed Islamic State of Iraq and the Levant) this year have proved that even Muslim places of worship are at risk of attack by militants. In the Grand Mosque, worshippers of different nationalities said they hoped the Haj would provide a chance for Muslims to set strife aside. Ali Saeed, who arrived in Saudi Arabia from Jordan after escaping Syria’s civil war, prayed rival leaders would “come back to their senses and stop shedding innocent blood”. “Will it ever end? God knows. I hope all our leaders can come to Makkah and share the same faith as all those people do,” he said. As they walked in groups, some joined hands and others wore colourful scarves bearing the name of their country to avoid getting separated or lost. Some pushed relatives in wheelchairs or helped the elderly in the crush. “I invite all people from Iran and other Muslim countries to come together in Makkah and experience the spirituality,” said Abdullah Rahmani, a grey-bearded Iranian. In past years, the Haj has drawn around 3 million pilgrims. This year and last, Riyadh cut back on numbers — enforced through strict visa rules and a ring of checkpoints around the city — to prevent dangerous overcrowding during expansion works. About 1.2 million have arrived so far this year. From all races and ages, they flocked into the Grand Mosque, where they prayed — some silently in tears and others loudly in groups carrying their countries’ flags. The crashing of a crane into the Grand Mosque during a storm last week, killing 107, demonstrated the extent of those dangers. But the wider programme of construction over the past 15 years has helped stop repeats of once-common deadly stampedes. The crane accident has not stopped pilgrims carrying out their rituals. “Do you see the number of people here? Do you think they are fearful? It is quite the opposite. People here have faith in God and perceive those who died as martyrs,” said Amin Al Rahman of Bangladesh. The crane was one of several on a multi-billion-dollar expansion to accommodate increasing numbers of faithful. Samira Abdul Wahab, a pilgrim from Sudan who had just finished circling the Kaaba, which all Muslims face to pray, called the Grand Mosque “the safest place in the world”. The Kaaba is now barely visible amid the surrounding construction works. Tawaf, or circumambulating the Kaaba, is a ritual of the pilgrimage performed by the pilgrims who come from all over the world. A challenge again facing the Haj is potential transmission of the deadly Middle East Respiratory Syndrome coronavirus (MERS-CoV). The capital Riyadh saw a jump in infections last month. Saudi Arabia is the country worst affected by Mers, with 528 deaths since the virus appeared in 2012. The health ministry has mobilised 25,000 additional medical staff to support the Haj, but says there has never been a case of Mers among pilgrims. And despite the troubled backdrop, worshippers spoke of their elation at attending an event that marks the peak of their spiritual lives. “We feel tremendous. We’re very, very excited,” said Fawzy Abdul Rahman, 59, from the Philippines. “We’re praying for our kids,” he said, holding his wife’s hand and melting into the crowds. 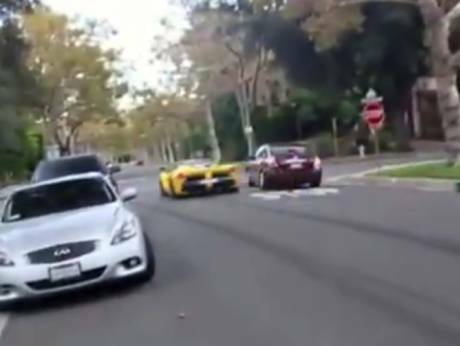 Beverly Hills: A Qatari who allegedly said he owned a Ferrari caught on film speeding through a Beverly Hills neighbourhoodneighbourhood apparently has raced out of town, local police said Thursday. The man has left the country and the cars are gone, authorities said at a news conference. The Qatari is said to own a drag-racing team and is a member of the ruling family of the country. An aficionado of fast cars, he routinely has been photographed racing cars on racetracks, including a Formula 1 racer. 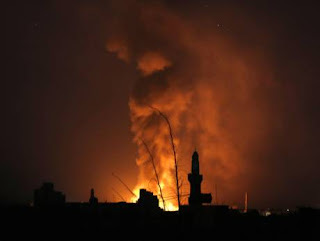 The state-run Qatar News Agency did not immediately report on the incident Friday, the start of the country’s weekend. Authorities in Qatar and at the Qatari Embassy in Washington could not be immediately reached for comment. The bright yellow, 12-cylinder LaFerrari, which can sell for around $1.4 million (Dh5.1 million) new, was spotted along with a white Porsche zooming down narrow streets and blowing through stop signs on Saturday evening until they finally pulled into a driveway, the Ferrari’s engine smoking. Officers answering reports of reckless driving found both cars parked in a driveway. A man told the officers that the cars belonged to him and denied speeding or driving recklessly, police said. The man claimed to have diplomatic immunity, but that is unlikely, Lt. Lincoln Hoshino said. Police Chief Dominick Rivetti said the Ferrari was connected to the man. However, Hoshino said investigators have not confirmed whether he actually was driving either car. “The drivers weren’t visible on the videos or photographs,” and investigators were unable to find anyone who was willing to identify the drivers, Hoshino said. “What I do know is you can’t claim diplomatic immunity if you don’t have it, and you can’t use that as an excuse to jeopardise the public or commit crimes,” Rivetti said. Police will continue investigating, and if the drivers are identified they could be charged with reckless driving, Rivetti said. The city also has passed along its outrage over the incident to the Qatari consulate via the US State Department, the chief said. Marib: A Saudi-led coalition pounded Yemen’s Al Houthi rebels on the outskirts of the city of Marib in its push to retake the capital, Sana’a on Thursday. The dull thud of artillery fire rumbled across the city Thursday but its residents, many armed with Kalashnikov assault rifles, appeared unperturbed by the nearby fighting. Marib is the capital of the largely desert province of the same name. Authorities say the coalition is targeting Al Houthi positions near the key Marib dam and the town of Sirwah, about 40 kilometers west on the road to Sana’a. The provincial capital itself is under control of loyalists to exiled President Abd Rabbo Mansour Hadi. Deputy governor Abdu Rab Ali says 80 per cent of the province is controlled by pro-Hadi forces while Al Houthis control 20 per cent. On Wednesday, a group of ambassadors from 18 countries supporting the coalition met in Riyadh to discuss the latest developments. During the meeting, which was held at the headquarters of the General Secretariat of the Gulf Cooperation Council in Riyadh, the head of the GCC mission in Yemen, Ambassador Saad Al Arifi, welcomed the participants which included Dr Abdul Aziz Al Uwaisheq, Assistant Secretary-General for Negotiations and Strategic Dialogue, Esmail Ould Shaikh Ahmad, Special Envoy of the UN Secretary-General for Yemen, and other officials and ambassadors. During the meeting, Ould Shaikh Ahmad presented a summary of the latest efforts for reaching a political settlement to resolve the escalating situation there. The British envoy also gave a similar briefing during which he highlighted the UK government’s view, stressing the importance of pushing towards a political solution to deal with the crisis.